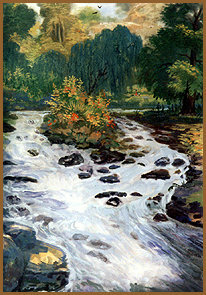 Sholkhi River, water colour, gouache, tempera, paper, 90x71, the State Ingush Museum. 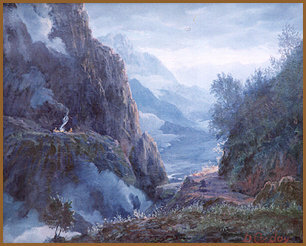 Before dawn, canvas, oil, 50x70, 1998. 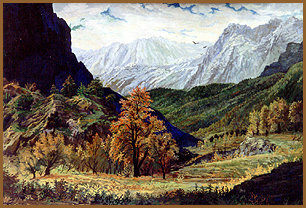 Autumn, gouache, tempera, paper, 90x70, the State Ingush Museum. 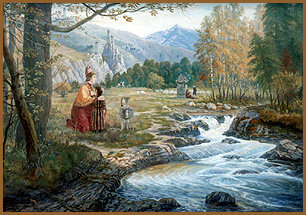 Old Melody, canvas, oil, 106x147, 1999. 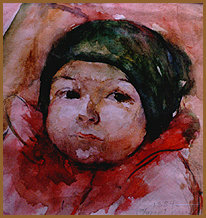 Gapurchik, water colour, 30x40, 1989. 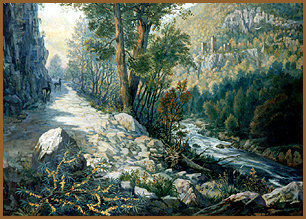 On a mountain road, canvas, oil, 100x120, 2000. 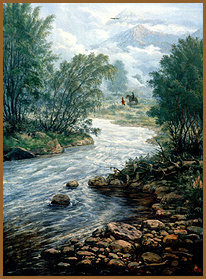 On the bank of Assa River, canvas, oil, 70x103, 1999.